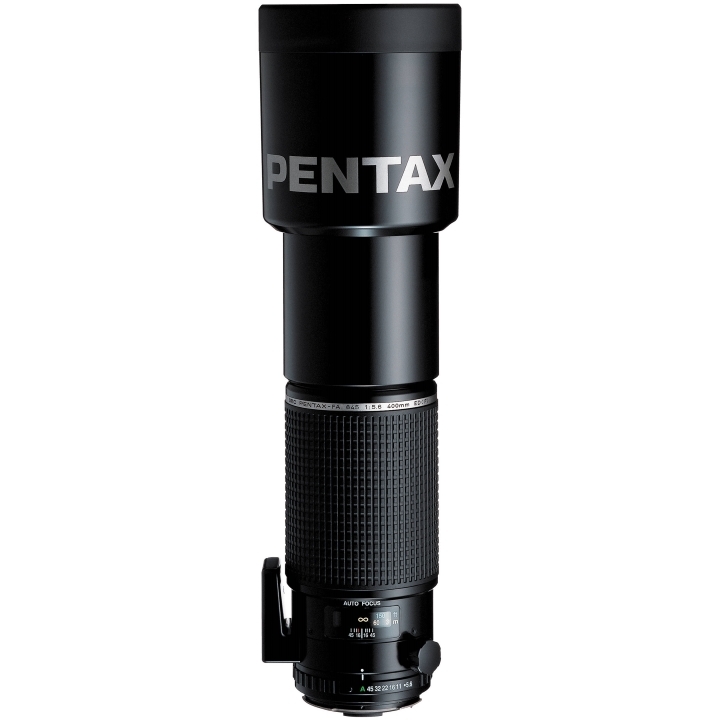 PENTAX's medium-format, manual, autofocusing telephoto lens features a 35mm-equivalent focal length of 315mm. Extra-low Dispersion (ED) elements improve image quality by reducing chromatic aberrations, while multi-coating not only protects but further prevents reflection to reduce ghosting and flare. Easily switch between autofocusing and manual focusing. 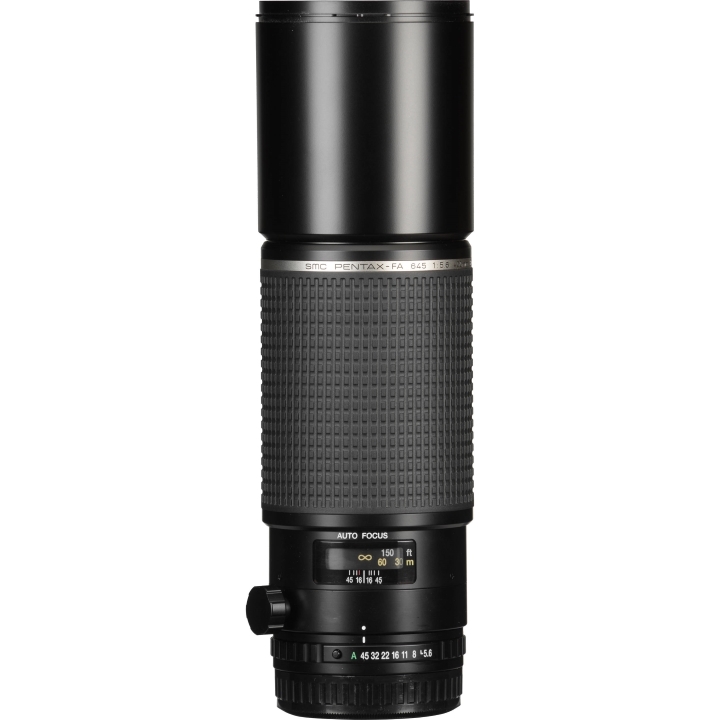 The Inner Focus (IF) mechanism additionally allows for manual focus operation, improves focusing speed, and lessens lens extension, which gives a closer minimum focus distance. Features a rotating tripod collar with clip, which allows for swift changes between vertical and horizontal configurations. PENTAX's medium-format, manual, autofocusing telephoto lens features a 35mm-equivalent focal length of 315mm. Extra-low Dispersion (ED) elements improve image quality by reducing chromatic aberrations, while multi-coating not only protects but further prevents reflection to reduce ghosting and flare. Easily switch between autofocusing and manual focusing. 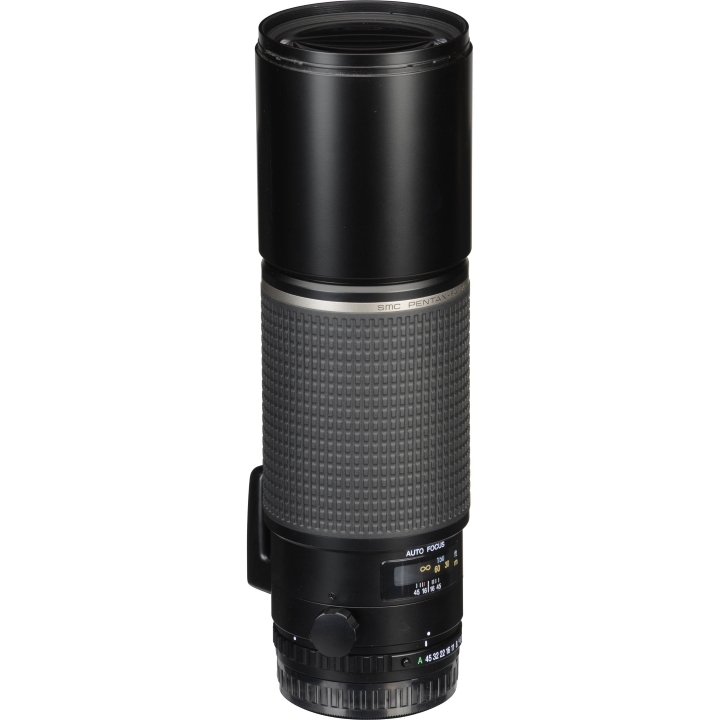 The Inner Focus (IF) mechanism additionally allows for manual focus operation, improves focusing speed, and lessens lens extension, which gives a closer minimum focus distance. 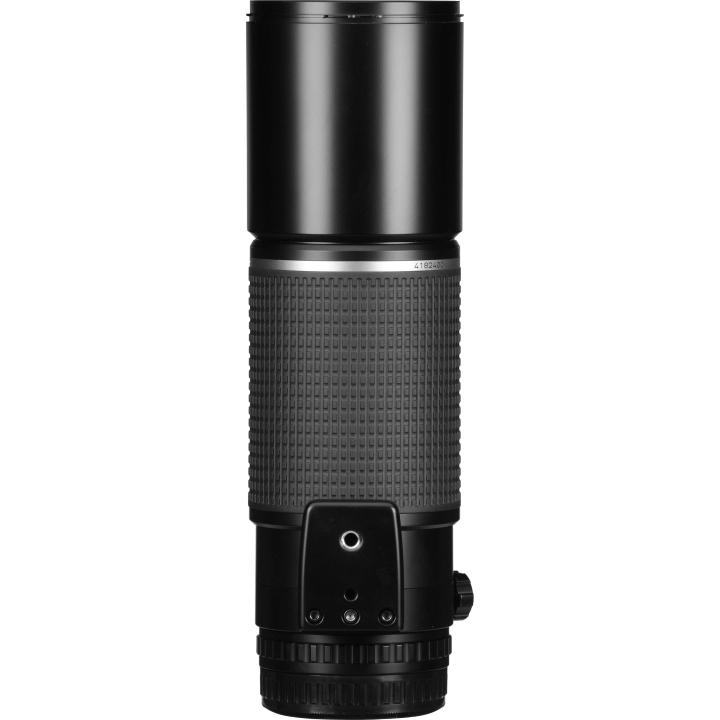 Features a rotating tripod collar with clip, which allows for swift changes between vertical and horizontal configurations. 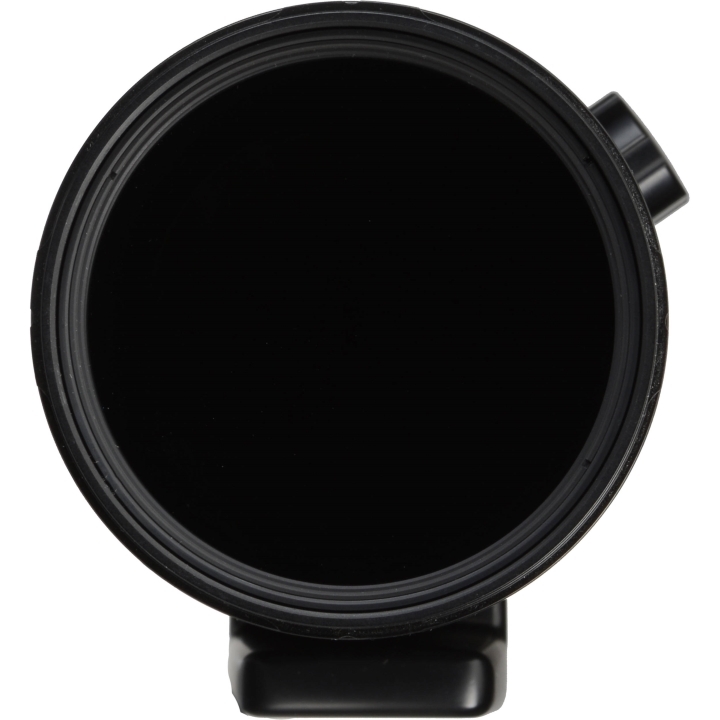 Aperture can be stopped down from the maximum of f/5.6 to a minimum of f/45 via the aperture ring in manual mode. Alternatively, full automatic diaphragm control is available.